Having a Bluetooth headset is becoming a necessity for some people as laws are being enforced all over North America against talking on cell phones without a handsfree device. However some people prefer not having something wrapped around their ear or a device they can utilize fully while on the road. There are cars that have the feature of having a Bluetooth system built in, but for those who are not fortunate to have one, there are Bluetooth Speakerphones. In this review, I will be putting the top three selling in the CrackBerry Store to the test to see which one is right for you. 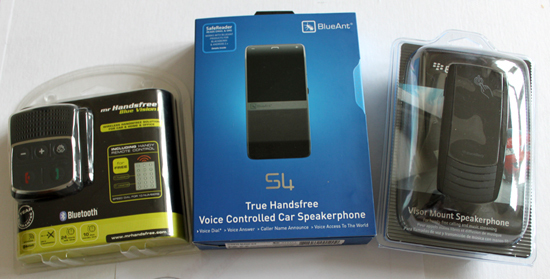 We'll be looking at the feature rich Blue Ant S4, the popular Blackberry VM 605 and the easy to use Mr. Handsfree Blue Vision II. 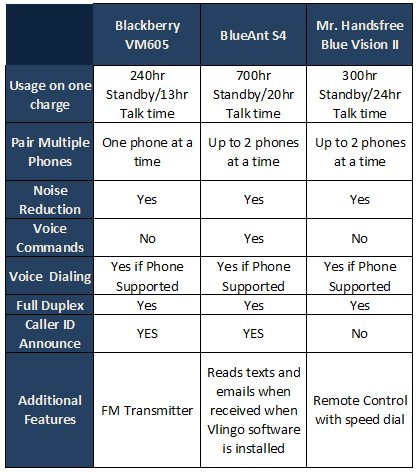 The BlueAnt S4 is the most feature rich out of the three. It is a complete handsfree system where you can answer and make calls without touching the actual unit but by using your voice instead. Also when ever an email comes in or a text, with the help of Vlingo (which will be needed to be downloaded on to your phone), they will be read out loud through the speakerphone. When calls come in the caller's name is announced as long as they are a contact on your phone otherwise the phone number is announced. The vocal prompts help understand whats going on instead of just beeps and tones, so you know when you are paired up, when a call is coming or etc. Also with a nice modern look to it, it definitely looks great in the car. 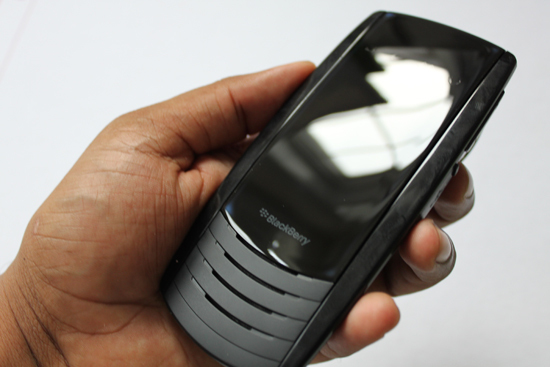 The Blackberry VM 605 has one button for everything right on the front of the unit. 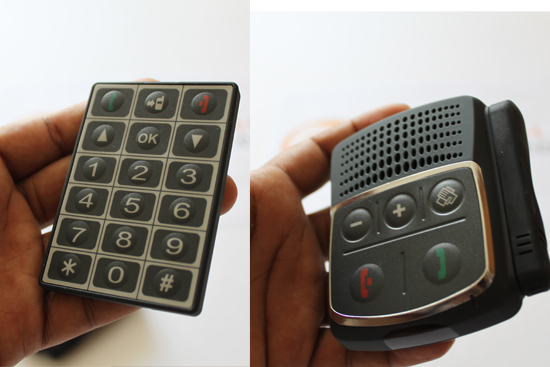 The button is used to Answer and Make calls, to power on and off the unit and even pair up the unit to the phone. This is not only simple but also convenient as you don't need to find the right button while driving. A feature that the other two don't carry is the FM transmitter capability. This basically means that you can put your telephone conversation or your media from your phone directly to the speakers in your car by tuning into the provided FM channel. The FM channel search built into the unit will actually look for a good channel without any problems so you end up with the best quality transmission possible. Vocal prompts are also available and support 8 different languages. The Mr. Handsfree Blue Vision II is the most simple as far as feature set but that's what makes it one of the highest selling in the CrackBerry Store. 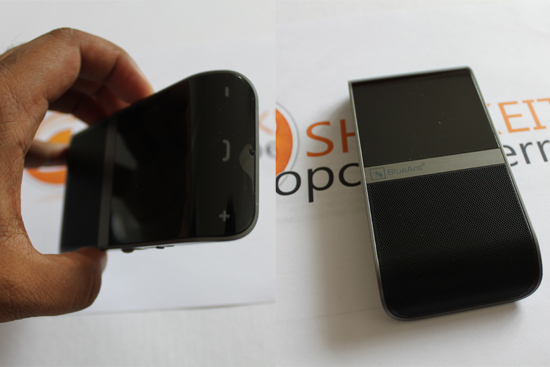 Unlike the other two, it has a dual microphone system which allows for a better quality phone conversation. The microphone can also be swivelled and pointed in the right direction to get maximum quality. A remote control is included with programmable speed dial up to 10 numbers. The same remote uses the same keypad to dial out a number beyond the saved 10 numbers. As far as sound quality goes, these are the best of the best. The Digital Signal Processing allows for background noise reduction where people couldn't even tell that was I in a car. All of them also feature full duplex, meaning that you can talk while you listen. You don't have to wait for the other end to finish speaking, in fear of not hearing the other side while you are interrupting them. All three speakerphone systems are really meant to be used in the car as visor mounts however you can always unclip the clips to use them on your desk as speakerphones when not in the car. Of course, they come with a car charger as well. However, I would definitely not recommend you have it charging it while you have it on your visor unless you wouldn't mind getting into an accident with the chords hanging out in front of you. Which speakerphone is best for you? So now that we have a better idea of some of the features, which one is the right one for you? Well it all depends on what you are looking for. If you are looking for a unit that's completely handsfree and has the most features, hands down it would be the BlueAnt S4. The built in voice recognition is the selling point on this for a complete handsfree experience that you cannot get with the other two. Having the ability to call out and answer the phone without hitting a button is a huge plus when keeping an eye on the road. There are a few more steps then the other two when setting up the features; however this is to be expected with this type of technology. For those looking for a more simple approach, but are still looking for versatility, the Blackberry VM 605 is the choice. The FM transmitter is the bonus feature and offers the convenience of hearing everything over your car speakers, including your media. Most people have trouble finding a good quality transmission when they are using any FM transmitter, however with the built in FM scan search, the VM 605 automatically looks for the best station for the best possible connection. Having one button that has the ability to do every function is great when driving as you don't have to look up to see what you are pressing. The only downside is that it doesn't offer the choice to have two phones paired at the same time like the other two models. If you are looking for the most simple and straight forward to use, it would be the Mr. Handsfree Blue Vision II. Although it has the least amount of features compared to the other two, it is the easiest and quickest to setup and it just plain works. You really don't need the manual as the buttons are clearly labelled and you can easily understand how to use the features. The remote is a nice touch and once again, is pretty straight forward. Since there are a lot of buttons, this could be seen as a negative when driving, as you would have to look down to see what you are pressing on the remote or the device. For those that are on the road and are looking for an alternative to the Bluetooth headsets, the Bluetooth speakerphones are great devices. Just taking a look at all three of these devices and getting the chance to play around with them made me understand why these are the best selling in the CrackBerry Store. They offer great sound quality back and forth and the lists of features are impressive. Each of the three is geared towards different type of users so there is one for every type of lifestyle. Not only that, these don't only work with Blackberry Smartphones but with any phone that allows a Bluetooth connection. Don't forget to check out the CrackBerry Store to order these and other Bluetooth products.